Centipede grass is commonly grown in the southern United States because of the high acidity found in the soil and the relatively low maintenance for landscapers. It is often attacked by pests and weeds that can drain the resources available in the soil and cause thinning of grass in the lawn. One solution is to apply selective weed killers to the area. At the end of the 20th century, centipede grass was imported into the U.S. from China. The warm climates of Florida, South Carolina and Texas have proved ideal and it has risen in popularity over the last 50 years. The grass grows well within the sandy soil of the South and provides an alternative to other popular grasses that may dry out during the heat. 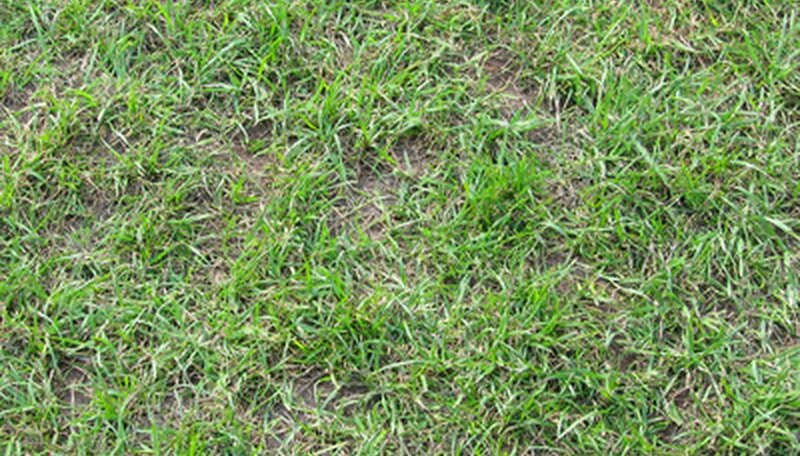 Typical weeds that infest centipede grass lawns are broadleaf, such as clover and goose grass. Gardeners use selective herbicides like MCPP or Atrazine in either liquid sprays applied directly on the weeds or pellets mixed into the soil. These broadleaf herbicides can be applied up to twice a year to eliminate weeds and give grass room to thicken. Another type of weed that can affect centipede grasses are weeds known as crabgrass. Dithiopyr in a sprayable form will help eliminate crabgrass that has already grown. Once the major weed plants are eliminated, pre-emergent pesticides can be applied to stop the germination of seeds that are buried in the soil before they can break the surface. Pendimethalin and DCPA are common herbicides that are mixed with fertilizer to help stop the growth of weed seeds before they can begin to germinate. These chemicals do not distinguish between broadleaf and crabgrass weeds, but can be applied to lawns without endangering the growth of the grass. Many controversies have arisen about the dangers of applied weed killing chemicals to the lawn. Some environmental organizations fear that the chemicals may increase the frequency of diseases like cancer within humans and animals. This has caused an increase in popularity with organic weed-control methods, such as using water and vinegar solutions.